Robert C. Brandt is a Certified Family Law Specialist* and heads FMBK’s Family Law Department. Applying nearly 40 years of experience as a family law attorney, Mr. Brandt focuses on getting to know his client’s individual needs, concerns and sensitive situations. Throughout the difficult separation process, Mr. Brandt remains respectful of his clients’ wishes, never suggesting a plan that is against their best interests. Clients appreciate Mr. Brandt’s sensitive approach to understanding the severity of their matters and value his strategic methods in dealing with difficult situations. Mr. Brandt graduated from San Diego State University with a Bachelor of Arts with Distinction in Speech Arts. He then went on to earn his Masters Degree in Speech from UCLA before earning his Juris Doctorate from Southwestern Law School Mr. Brandt is a Fellow of the American Academy of Matrimonial Lawyers, where he serves as Past President of the Southern California Chapter and received the 2018 National Professionalism Award. Mr. Brandt is also a Fellow of the International Academy of Family Lawyers, the Association of Certified Family Law Specialists and previously served as Chair of the Los Angeles County Bar Association (LACBA) Family Law Section. Mr. Brandt has earned great respect from both clients and peers, as reflected by his inclusion on the Southern California Super Lawyers Top Ten list for the last seven consecutive years, and his being named a Southern California Super Lawyer since 2005. 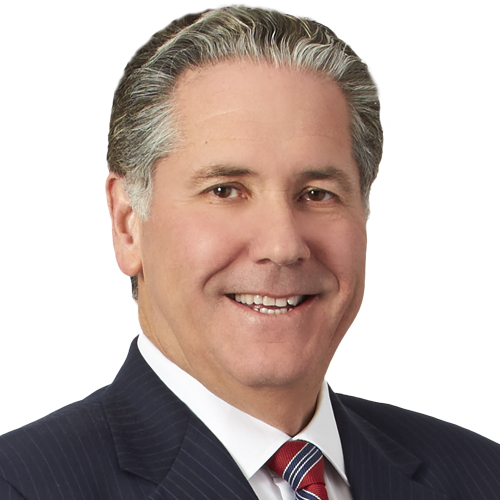 Mr. Brandt was also selected by his peers for inclusion in The Best Lawyers® 2010- 2019, while also holding an AV rating with Martindale-Hubbell. Presenter and Moderator, American Academy of Matrimonial Lawyers, Southern California Trial Institute, “Reading SEC Filings”, 2019. Presenter and Moderator, Iranian American Lawyers Association, Cultural Competency Seminar, “Marriage & Divorce: Invisible Cultural Boundaries”, 2018. Presenter, LACBA 49th Annual Symposium, “From Opening to Closing – The Art of Presenting your Case at Trial”, 2017. Presenter, Association of Certified Family Law Specialists 25th Annual Spring Seminar, “It’s None of Your Business, Or Is It?”, 2017. Moderator, ACFLS and Levitt & Quinn Family Law Center, ESI 2.0 – Managing Electronically Stored Information and E-Discovery in Family Law, “What Is It and Why Do We Care?”, 2016. Moderator, Iranian American Lawyers Association, Cultural Competency Seminar, “Leaders, Followers, Partners: Marital Rights & Duties Around the Globe”, 2016. Presenter, Association of Certified Family Law Specialists Annual Spring Seminar, “Orders and Judgments: The Lawyers Role”, 2015. Presenter, Iranian American Lawyers Association Cultural Competency In Family Practice, Serving Two Legal Masters, Yes With Out Your Daughter: Applying UCCJEA to Foreign Custody Orders, 2014. Presenter, Los Angeles County Bar Association 46thAnnual Family Law Symposium, Advanced Motion Practice, 2014. Introductory Remarks as Chairperson, LACBA Family Law Section- Los Angeles County Bar Association 44thAnnual Family Law Symposium, 2012. Presenter, Beverly Hills Bar Association 35th Annual Family Law Symposium, Dealing with Difficult Clients, 2009. Presenter, Los Angeles County Bar association, 41stAnnual Family Law Symposium, Proof and Presentation Issues: A Judicial Perspective, 2009. Speaker, Los Angeles County Bar Association Family Law Section, Inn of Court, 2009. Presenter, Los Angeles County Bar Association, Family Law CLE presentation on Preparation, Prosecution and Defense of the Typical Order to Show Cause, 2008. Presenter and Moderator, Beverly Hills Bar Association Family Law CLE presentation on Evidentiary Objections, 2008. Presenter and Moderator, Los Angeles County Bar Family law CLE Presentation on Family Law Trial Institute 101, 2007. Presenter and Moderator, Los Angeles Superior Court Family Law Symposium, Client Relations – Avoiding Malpractice, 2007. Los Angeles County Bar Association, Family Law Symposium Producer, Ethics Panel, 2006. Presenter and Moderator, Los Angeles County Bar Family Law CLE in Effective Techniques in Family Law Deposition, 2006. Los Angeles County Bar Association, Family Law Symposium panel Moderator for Cross-Over Areas in Family Law, Bankruptcy, Estate Planning, Juvenile Dependency, 2005. Sub-Committee Member, Sponsorship, Los Angeles County Bar Association, Family Law Symposium, presented by the Los Angeles County Bar Association, Family Law Section, Los Angeles Superior Court, 2000. Presenter, Los Angeles County Bar Association Continuing Education Program, “Learn the Secrets of the New Family Law Stipulation and Order Form,” December 1999. Presenter, Los Angeles County Bar and Los Angeles Superior Court Continuing Education Program regarding Local Rules and Stipulations, 1998. Representing Parents and Children in Custody and Visitation matters, State Bar of California, 1995. Presenter at various legal and accounting Family Law Study Groups.